Eggs are INCREDIBLE! Each week when I go grocery shopping eggs are at the top of my list. 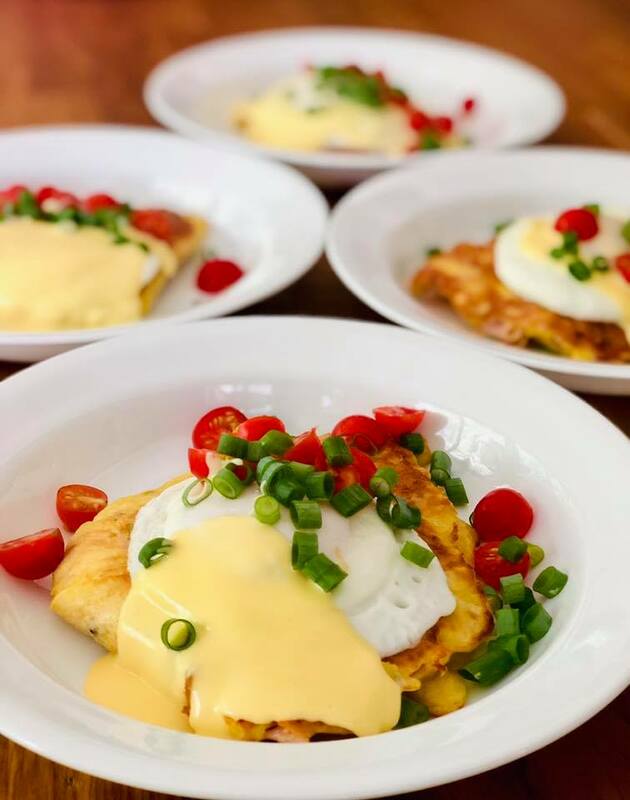 In this post I will be sharing an exciting Egg, Ham and Vegetable Fritter Recipe you will want to try and tweak with your own favorite ingredients. Below is the easy to create fritter recipe. I will be honest with you, this is my first time making a fritter and I was totally impressed with how tasty they are. If you have suggestions or questions about this recipe please be sure to visit my contact page and leave a detailed message. * Be creative and add your favorite veggies you have on hand. Mushrooms, zuchini, tomatoes and carrots are my favorite. In large mixing bowl whip eggs until fluffy with an electric mixer. Slowly beat in the flour and milk to form a batter. Add the rest of the ingredients and stir with a spatula gently. with large ladle, pour 1 scoop of mixture into a skillet that has been set on medium heat. Wait till the batter bubbles just like pancakes before flipping to cook other side. Once fritter is made top with Hollandaise sauce or other cheese. Get creative and add your favorite veggies to this recipe. Just be sure to grate up small so the veggies cook completely. If you make this Egg, Ham and Vegetable Fritter recipe I would totally appreciate it if you include me in the social media share. Just add @brenhaas to your Facebook, Twitter or Instagram share. I can’t wait to see and hear how you added your creativity to this recipe. I love eggs because they are super accessible and easy to make into a meal. You can enjoy eggs for breakfast, snack, lunch or dinner. I enjoy using my electric egg cooker to prepare mine these days. Boil, poach, fry or bake… How do you prepare your eggs? Spread the love of eggs by sharing this image on your Pinterest page today. Be sure to tag me @brenhaas. Here are a few recipes you might want to check out if you enjoy this one! What do you think about eggs? Are you excited to start using them more in your daily diet? Be sure to connect with me and share with me on social media @brenhaas.